The Crippled Children’s Foundation will consider requests from charitable organizations for financial support to fulfill the medical needs of children 18 and under. Qualifying nonprofit organizations interested in obtaining a grant application must make a request via email to michelle@mmqbc.org. Completed applications are reviewed by a joint committee of selected members of the Crippled Children’s Foundation and the Monday Morning Quarterback Club. Committee recommendations are, in turn, acted upon by the Board of Directors of the two organizations. In order to be considered for a donation, an organization must meet our general guidelines. In addition to this requirement, donations are based on availability of funds and the organizations compatibility with our mission statement. Applicants will be notified of our decision prior to year end. In order to be considered for funding the completed application must be submitted electronically by February 15th of each year. Each applicant must provide all requested information, either in the attached format or in an alternate format that provides all requested information in a readily understandable fashion. 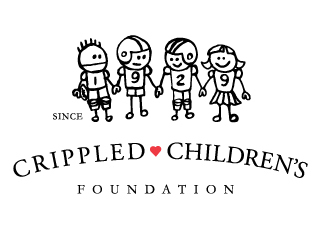 The Crippled Children’s Foundation funds grants that focus on our mission of treating physically and mentally challenged children and young adults, with a consideration of indigent care. We wish to make a difference in the medical care and medical opportunities for our children and young adults. Please direct any questions about the grant application process to Michelle Banks, Executive Assistant, at 205-226-8830 or at michelle@mmqbc.org. The game is raising money. The opposing team is disease. © Copyright 2019 - Monday Morning Quarterback Club. All Rights Reserved.